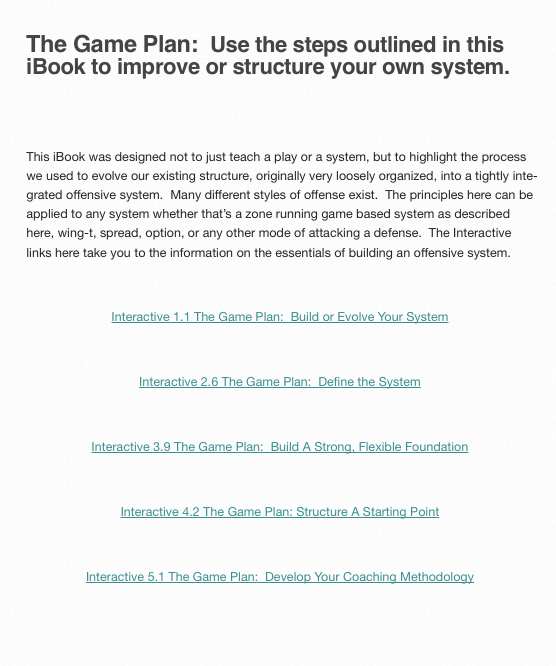 Coach Grabowski’s new iBook, The Zone Offense: Create a Structured System is one of the best coaching resources that I have ever read…. and you really do so much more than read it… you read it, you watch it, you interact with it, you takenotes in it. It is a coaching clinic, webinar, PowerPoint, film session, drill guide, tutorial, etc… all rolled into one coaching resource. It really is as if you had the opportunity to spend a week (or more!) with Coach Grabowski, his staff, and players when he was at Baldwin Wallace University. 75 Interactive Presentations totaling 622 slides. Most of these include animation. 40 game film cut-ups with press box and end zone angles totaling 13 minutes. 16 instructional videos totaling 35 minutes. That’s 51 minutes of video alone! A DVD costs you $40 and gives you slightly more in terms of video minutes. The iBook is just $29.99 and is packed with more depth and detail than you can get in a video or book separately. Get it for your iPad or Mac from the iBookstore. My new iBook is now available on the iBookstore. Get it here. This is a title I have been working on for years. I wanted to do more than present what was a very effective play for us (10.3 yards per carry); I wanted to share the process we used for creating a tightly integrated offensive system. Frame by Frame play analysis. Screen Recording of technique and fundamental explanations. Hundreds of slides worth of Keynote/Power Point type of presentations. No more losing the scraps of paper or napkins you write your own diagrams and ideas on. They are forever saved in the iBook with interactive note taking, highlighting, and play diagramming. I wrote a simple app for play diagramming in the book. It works best with a stylus, but none the less, your ideas are there for you to refer back to in the iBook. (see below). Like my first iBook, this is the perfect blend of text and dynamic content. It’s better than having a book and DVD combined into one. More will be coming soon. Stay tuned for an exciting announcement. New iBook Coming Soon! Win a free download. My new iBook is nearly complete. The new book goes beyond the utilization of the platform and technology displayed in my first book. I’ve discovered new and better ways to help illustrate and explain concepts. This book will contain even more dynamic content than my first book and be even more user friendly. 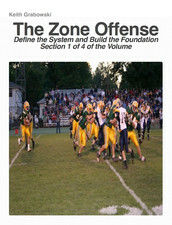 The book is designed to explain a process for developing and evolving an offensive system. It pays close attention to not just finding a cookie cutter approach of adapting someone else’s system, but rather explains a process for analyzing, researching and developing a system that accommodates the adjustments that are needed from year to year with the different skill sets of the players within your system. The process is illustrated through using examples from an offense that produced Ohio’s leading rusher and scorer when we used it at the high school level. The offense was a multiple personnel, multiple formation zone run game based offense that re-wrote our record books. The process we used taught us a lot about how to put together an offense that is effective year in and year out while being able to adapt to changes to our team as well as the opponents on our schedule. Developing philosophies, teaching methods, creating position drills around what actually happens in the game are focused on in each volume. 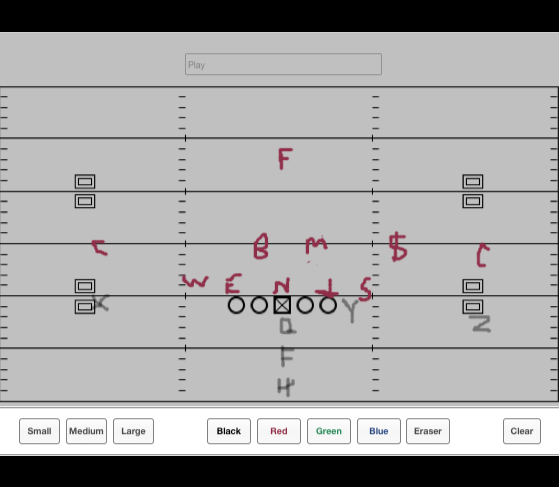 Strategies and examples for implementation are provided with play diagrams, animated step by step analysis of plays versus different defenses, as well game film with both press box and end zone views. Again, it’s much more than you would get in a book or a dvd separately. 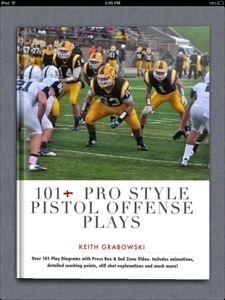 Win a free download of my new iBook as well as a download of my first iBook 101+ Pro Style Pistol Offense Plays. To enter to win simply follow this Blog by email. On Sunday, March 23, 2014 I will choose a winner from anyone who follows this blog by email. You will receive the codes by email. DID YOU TRY TO ENTER IT ABOVE? IT’S TO THE RIGHT. 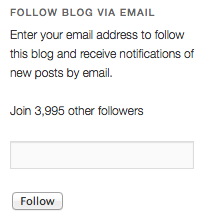 Enter your email and click follow. You will be sent a confirmation email. I will notify the winner by email on Monday. If you have even a little option in your offense, option football.net is a great resource. 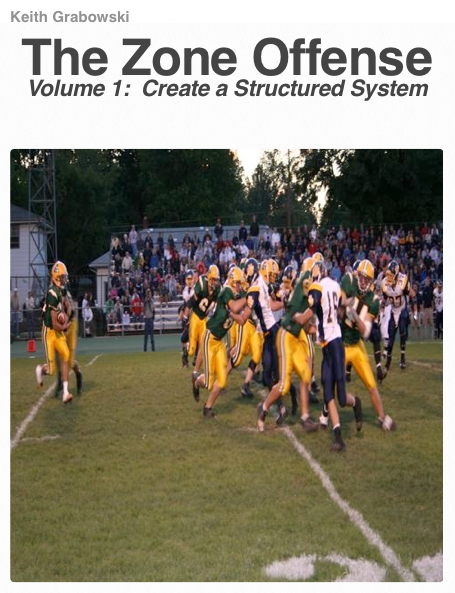 Check out the review of my iBook and all of the great football information on the site. Be sure to checkout out his other posts and info on his site. It is full of useful information. He also runs a forum worth checking out. http://nohuddlespread.proboards.com/index.cgi? I had the pleasure of meeting Curtis at the Glazier Indianapolis Clinic in January. He is very knowledgeable on the game and writes some great posts on his blog. Be sure to check out his site! Your brain is lying to you...don't believe it !